The 9990-TRX-MPEG Multi-Standard Broadcast Transcoder offers a powerful transcoding solution combining IPTV, professional broadcast, enterprise video delivery, and streaming video environments, making it ideally suited for content repurposing, edge transcoding, and video distribution network bandwidth optimization. The 9990-TRX-MPEG is a full-featured quad-channel video transcoder using the latest advances in video compression technology to ensure excellent video quality at low bit rates. Simultaneous support of DVB-ASI, broadcast over IP, MPEG-DASH Streaming, and HTTP Live Streaming allows content to be freely distributed over virtually any video network. The 9990-TRX-MPEG provides transcoding of two video services (channels) using either MPEG-2 or MPEG-4 AVC codecs in SD format and the output of MPEG-1 Layer II services. 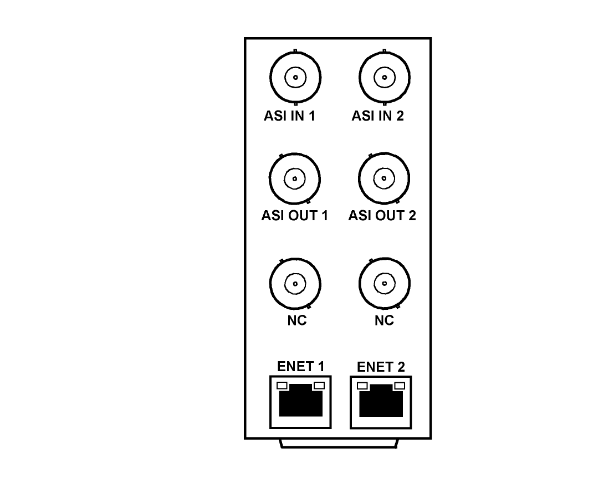 The single program can be outputted over ASI and IP interfaces individually or simultaneously. License options allow easy scalability via easy to install software uploads without removing or powering-down the card. The openGear® card form factor and DashBoard™ remote control makes for easy integration into existing terminal equipment environments. The 9990-TRX-MPEG is also available in stand-alone form factor BBG-1090-TRX-MPEG. You are currently requesting a quote for 9990-TRX-MPEG.